The FB1 Bluetooth earphones and μBTR Bluetooth receiver are priced at Rs 3,990 and Rs 2,490 respectively. Both products are now available for purchase at www.fiio.co.in and at leading e-tailers and retailers. FiiO has launched stylish FB1 Bluetooth earphones and μBTR Bluetooth receiver in India for Rs 3,990 and Rs 2,490 respectively. Both products are now available for purchase at company's store www.fiio.co.in or at leading e-tailers and retailers. 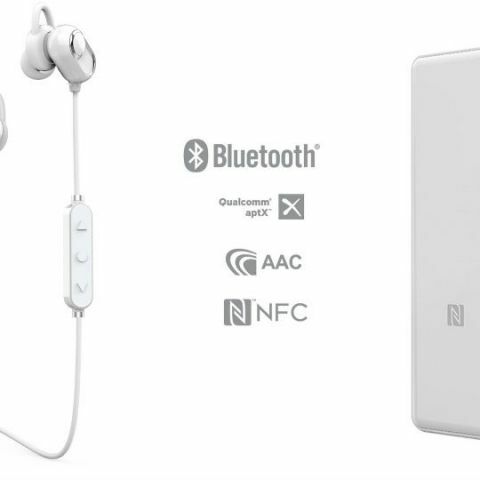 Let the beat move you - The FB1 is a set of Bluetooth earphones that supports aptX, SBC and AAC audio codecs over a wireless connection. Let the beat of your music move you with the FB1's ability to deliver high- quality wireless audio that truly captures every last emotion. The FB1 will be priced at Rs. 3990. Secret weapon for a sweet frequency response large 13mm dynamic driver - The FB1 uses a large 13mm dynamic driver, specially tuned for popular music so that you get those sweet highs and awesome bass in an expansive soundstage, letting you feel all of the ups and downs in the rollercoaster that is your music. True wireless freedom from the chains of cables - Use the FB1 to experience what it is truly like to experience your music without the hassle of wires dangling everywhere. Adjust that ear hook and exercise to your heart's content without fear of wires getting in your way! Listen to an hour of music with just 10 minutes of charging - With a 110mA lithium polymer battery, two hours to fully charge the battery means you can listen continuously for 8 hours, enough for a full day of music. The FB1 supports connecting with two devices at the same time, meaning less time spent switching and pairing with your favourite’s devices over and over again. Easy to carry around this stylish baby - The FB1's compact and lightweight shell means that it only weights 20g, greatly reducing the burden on your ears when worn and allowing you to easily wear something that accentuates your stylish persona. Skin-friendly and cleaner-friendly - The FB1's body has been coated with Nano spray, making for a smoother feel while allowing for enhanced resistance against scratches and stains. In fact, the Nano spray coating means you can literally wipe to clean the FB1 after getting it dirty. Adapt to the moment with accessories - Included with the FB1 are 3 pairs of ear tips (small, medium, and large), 3 pairs of ear hooks, and a storage bag. You can use different sizes of ear tips depending on the situation at hand. Listen with the μBTR continuously for a long 9 hours with its 120mAh battery, and then spend just 1 hour to top the battery off and do it all over again. The Type-C symmetrical connector ensures that you can just easily use any modern charger you may have laying around. I need comfort as well as good sound quality.